Two Amazing Summer Sweepstakes: Win Concert Tickets, A Makeover, A Shopping Spree & More! Today is your lucky day! We have two amazing summer sweepstakes to share with you. Enter both to have one of the best summers ever–seriously. 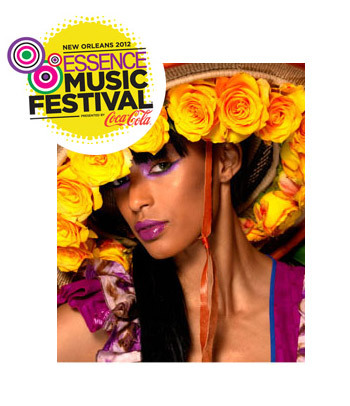 • Round Trip Airfare for Winner and two (2) guests to 2012 ESSENCE Music Festival, to be held July 6-8 in New Orleans, Louisiana at the Superdome. The festival will be one of the largest gatherings of African American artists in the country. To enter, submit a photo of yourself in clothes that reflect your personal style. It doesn’t matter if it’s a photo of you before a night out or in your casual weekend wear – we wanna see it! The best photo will be chosen and the winner will get to attend the Essence Music Festival with two friends! Enter the State Farm and Essence Magazine “Celebrate Your Unique Style Contest” Now! The folks at State Farm and Essence Magazine also want to give Daily Makeover readers an extra summer style perk! Tell us what your favorite summer style is in the comments section below to enter to win this fabulous prize: One lucky winner will receive at $300 J. Crew gift card, a mani/pedi kit, Essie nail polishes, ear buds, and a Marc Jacobs iPhone case! For full rules and regulations, click here. As one of the web’s largest beauty sites, DailyMakeover.com constantly receives products from beauty companies for editorial review. This giveaway is sponsored by State Farm Auto Insurance. The opinions expressed in this post are my own. Please read our Editorial Ethics Pledge if you’d like to know how we select products to feature.